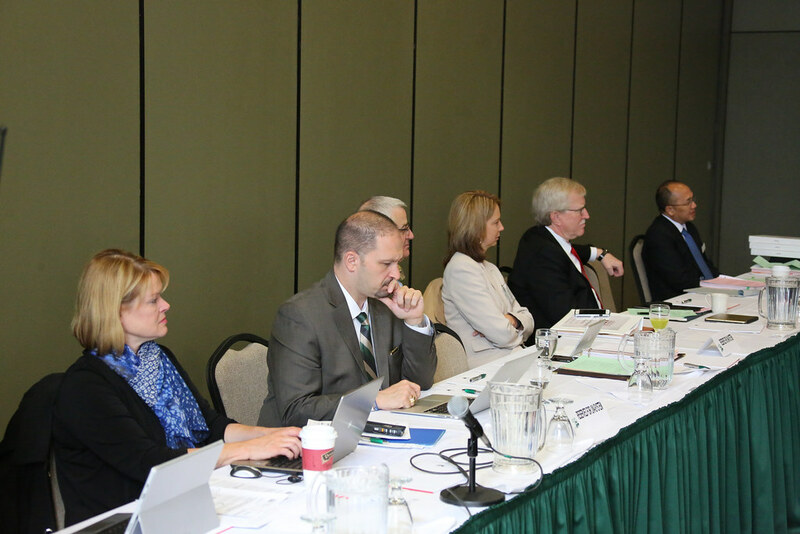 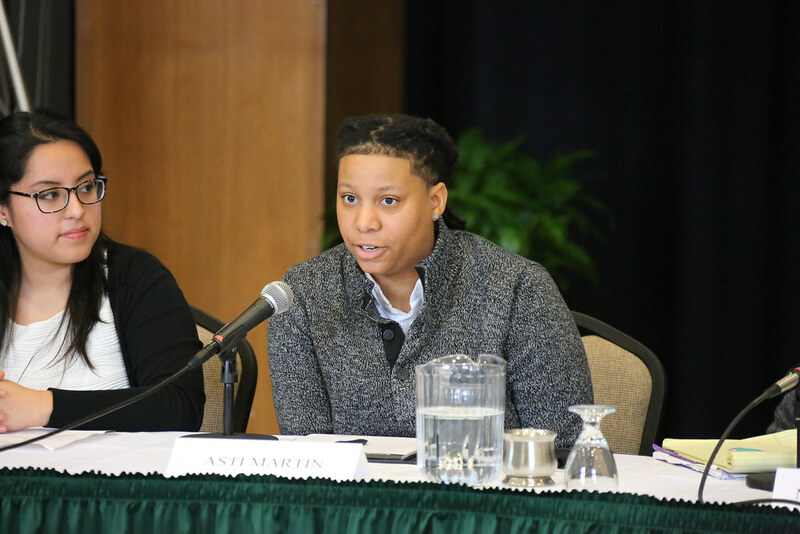 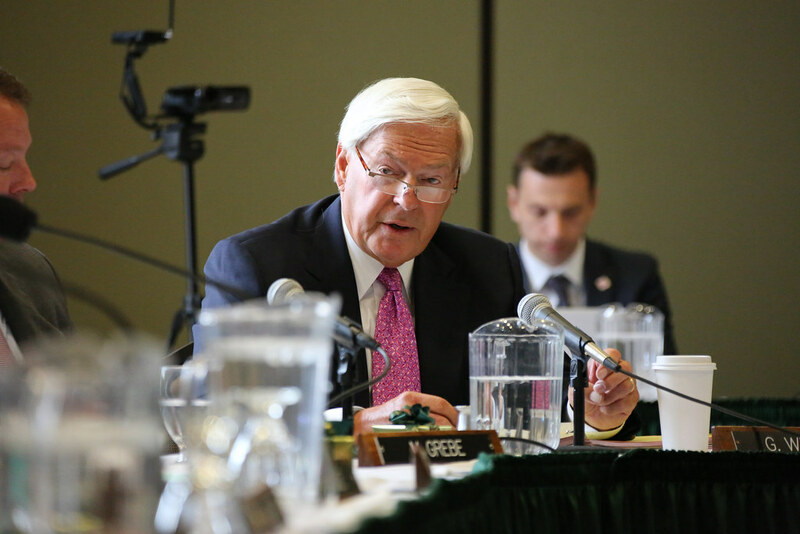 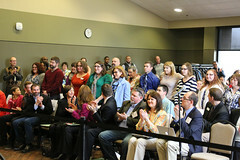 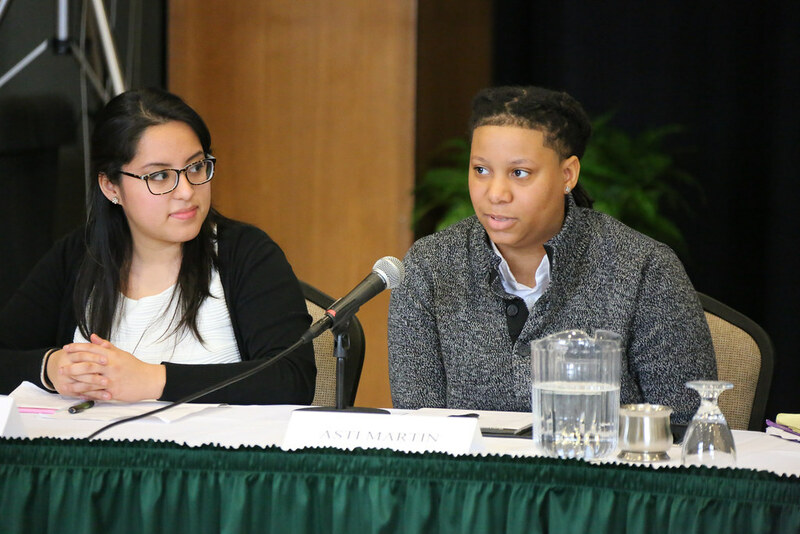 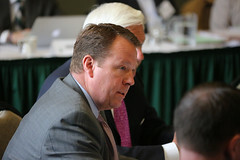 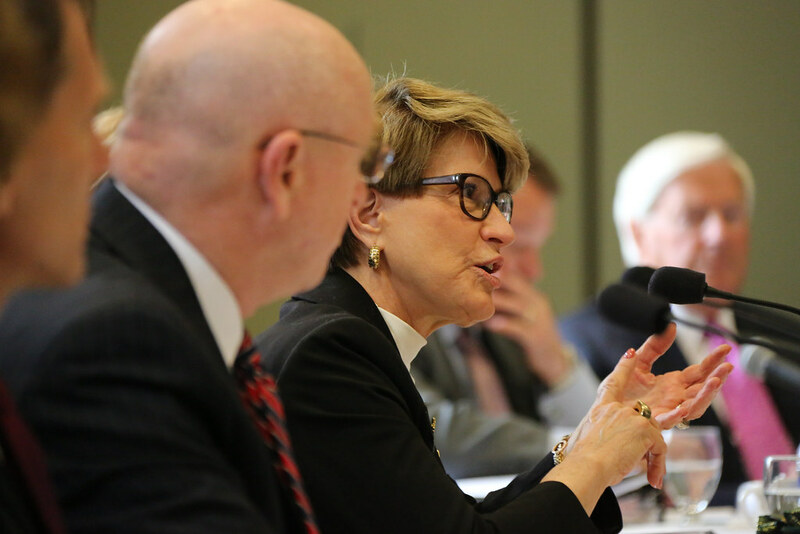 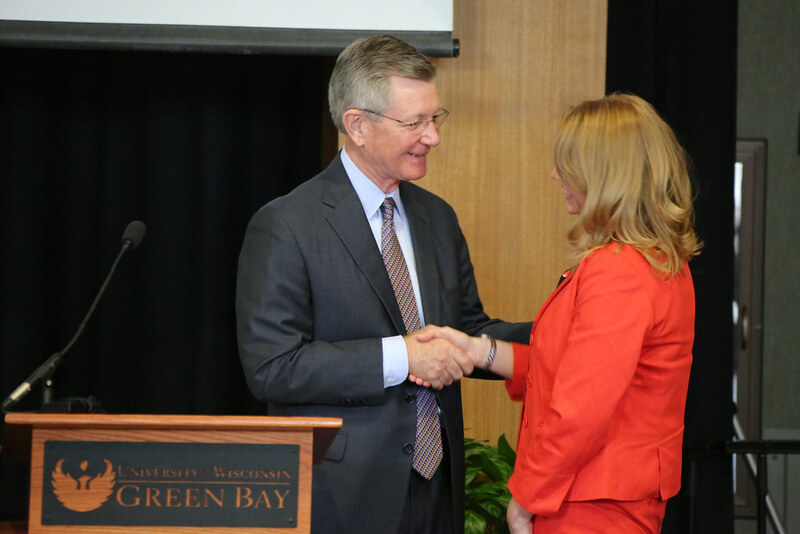 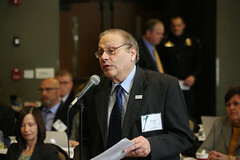 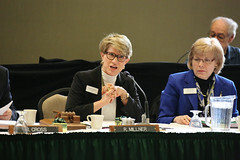 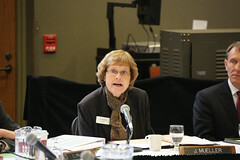 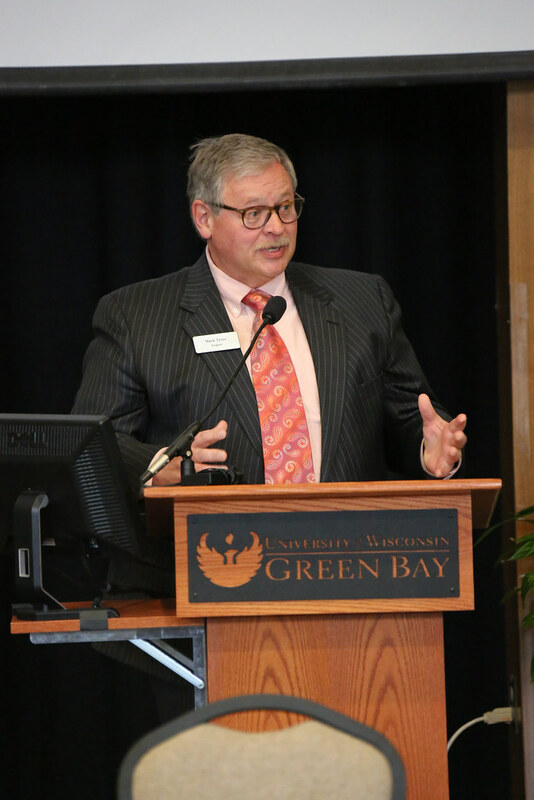 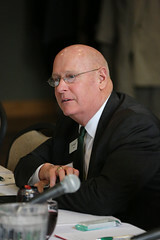 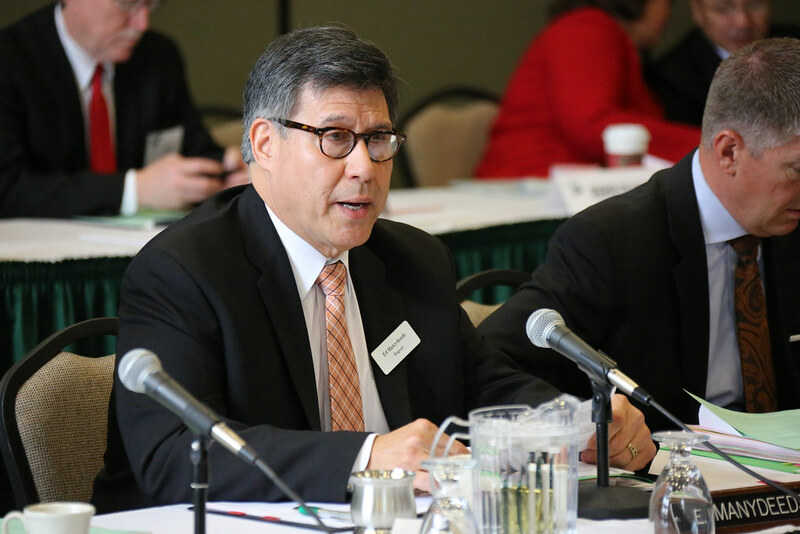 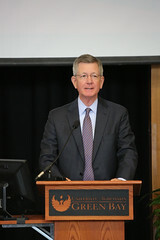 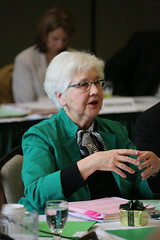 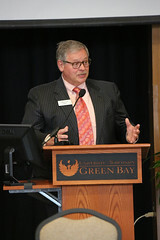 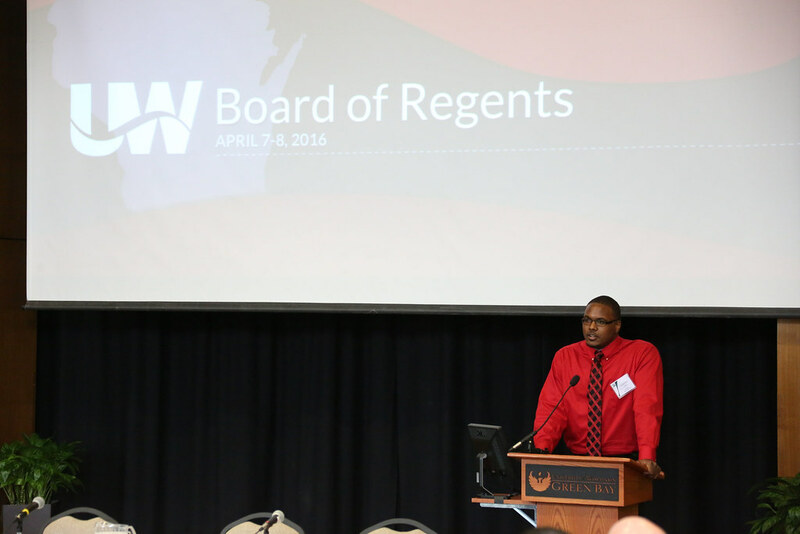 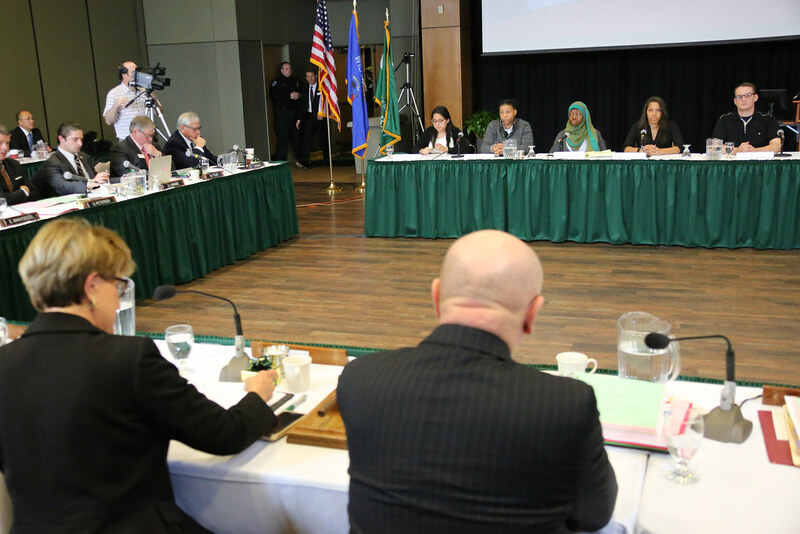 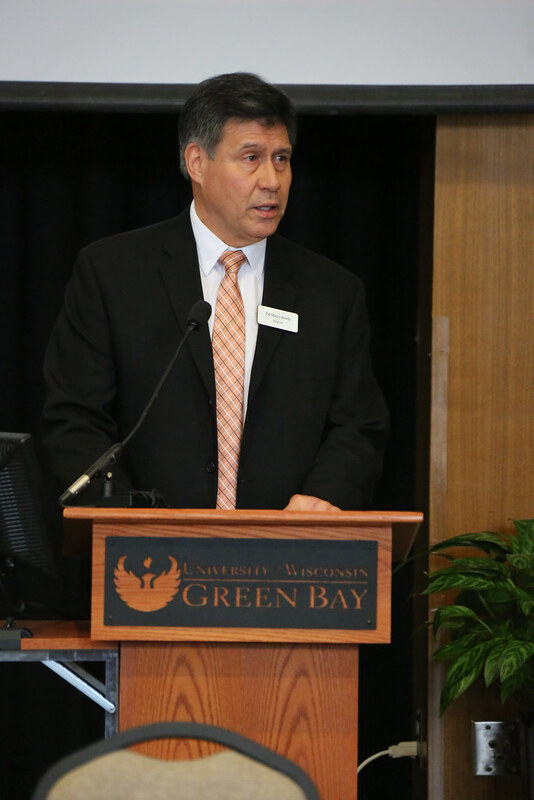 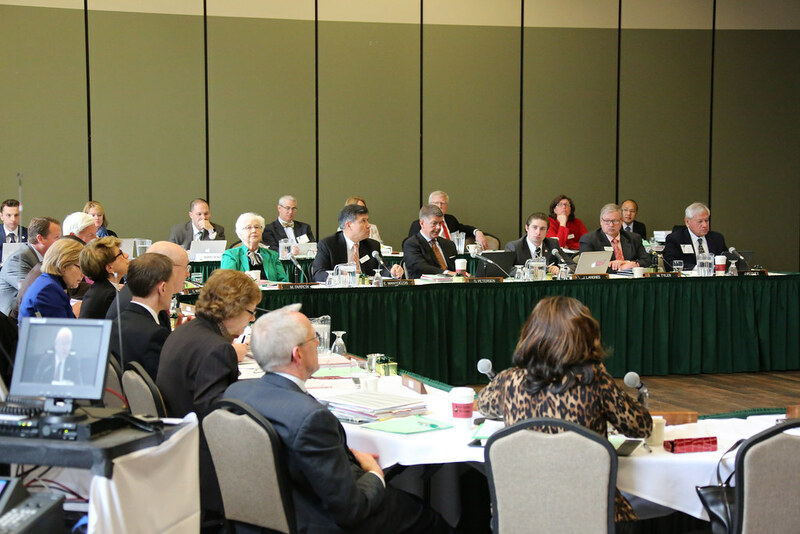 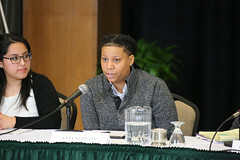 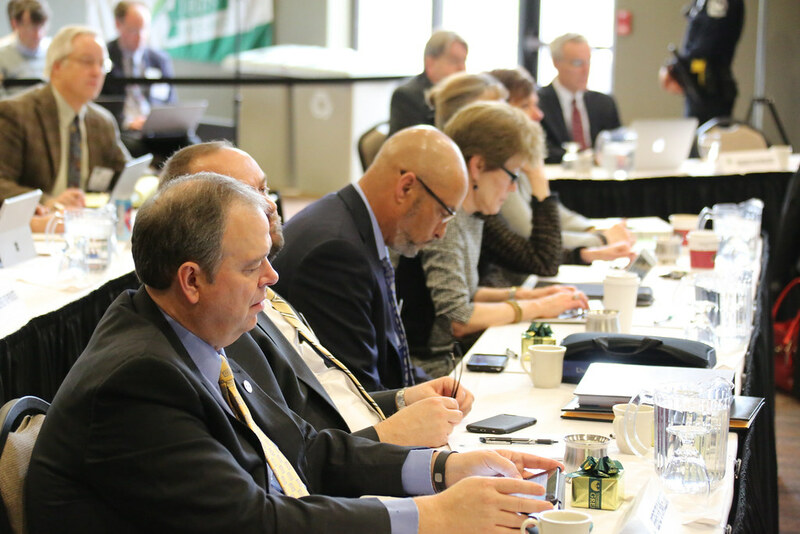 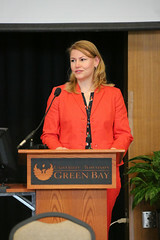 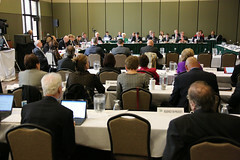 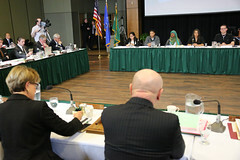 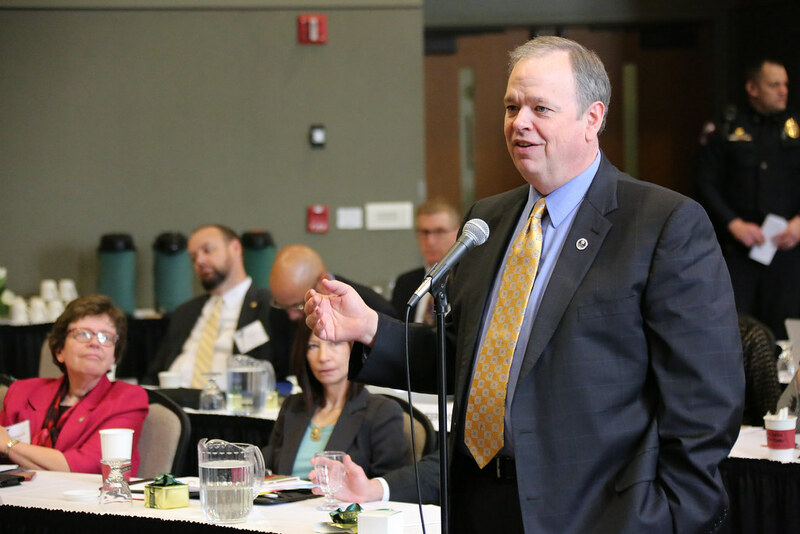 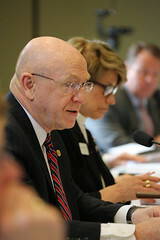 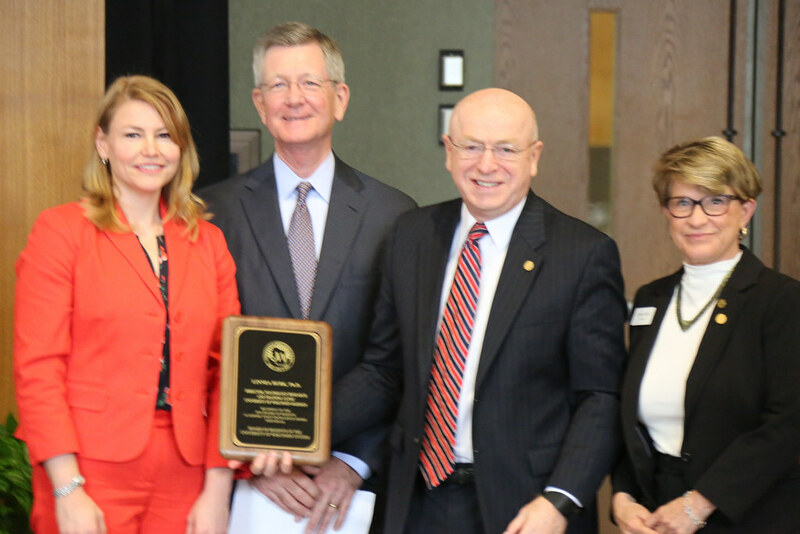 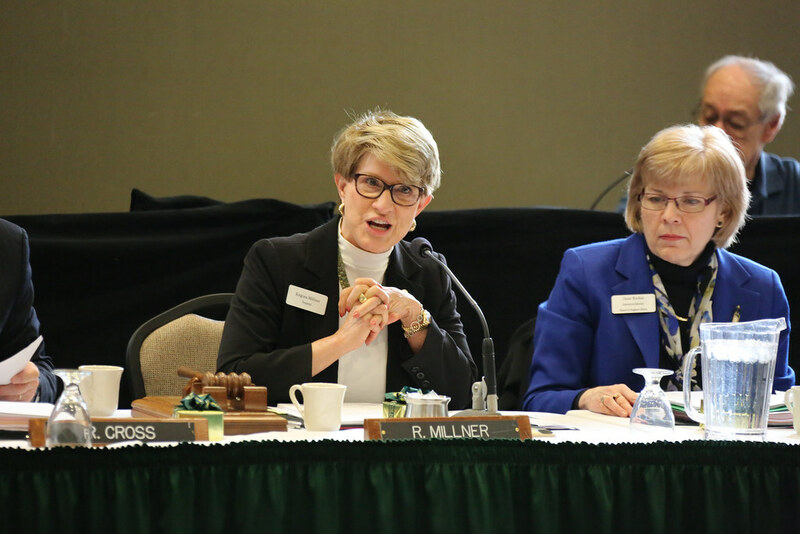 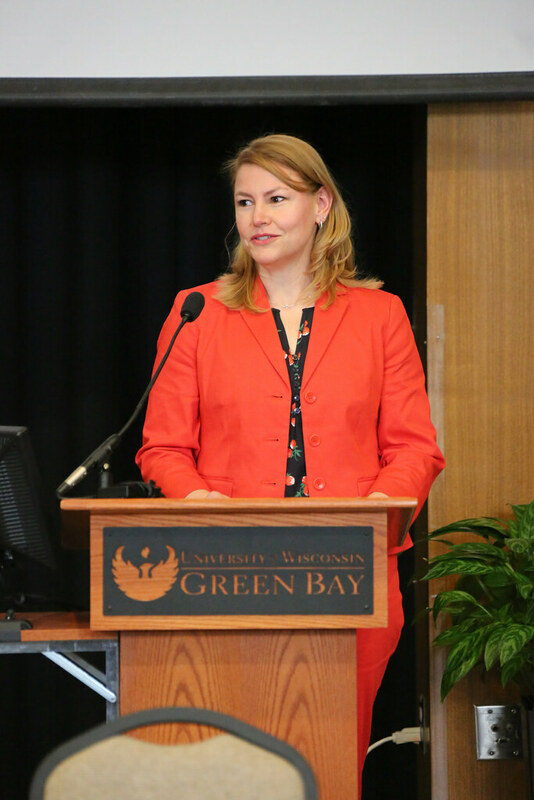 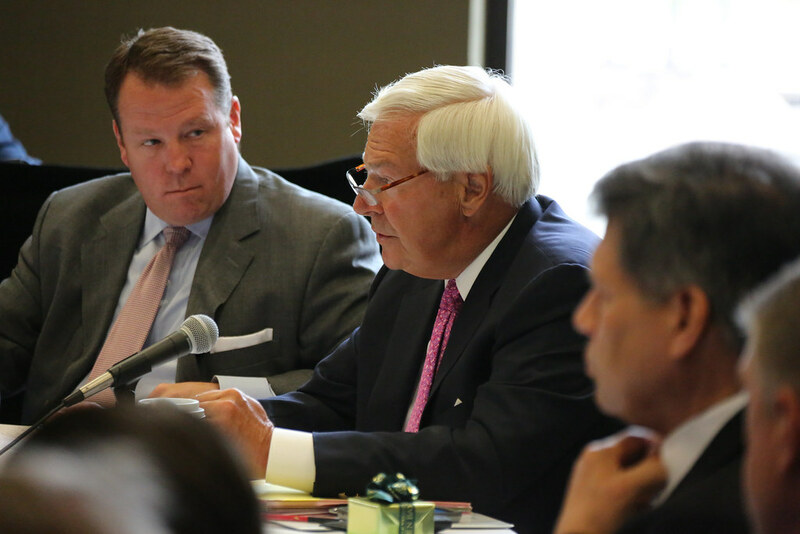 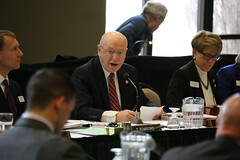 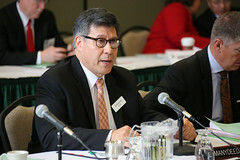 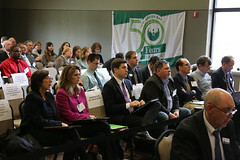 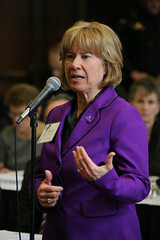 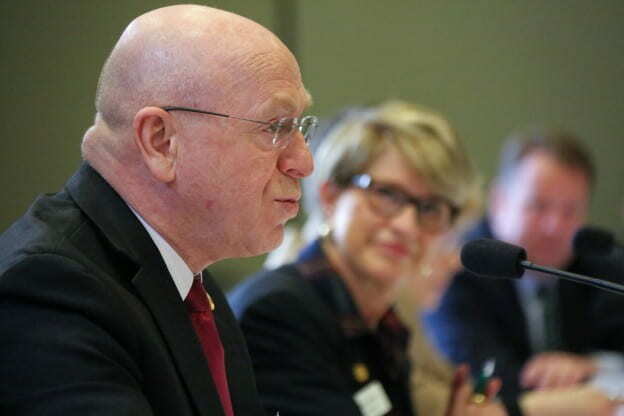 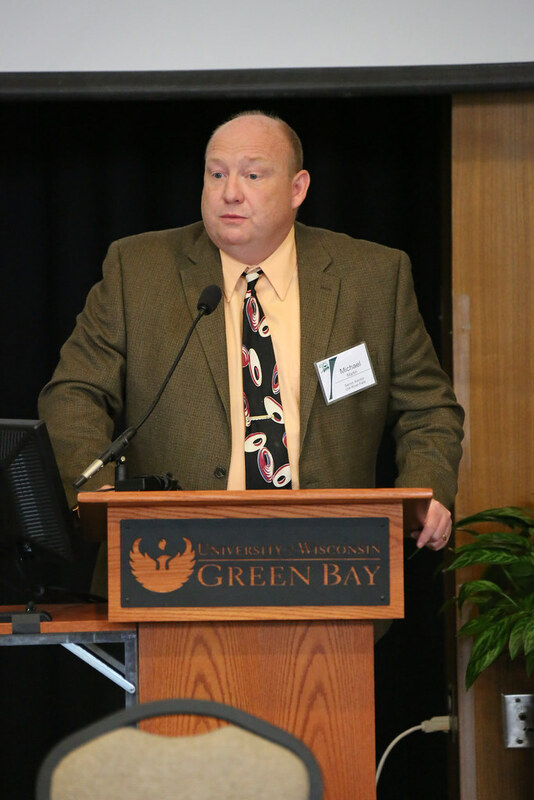 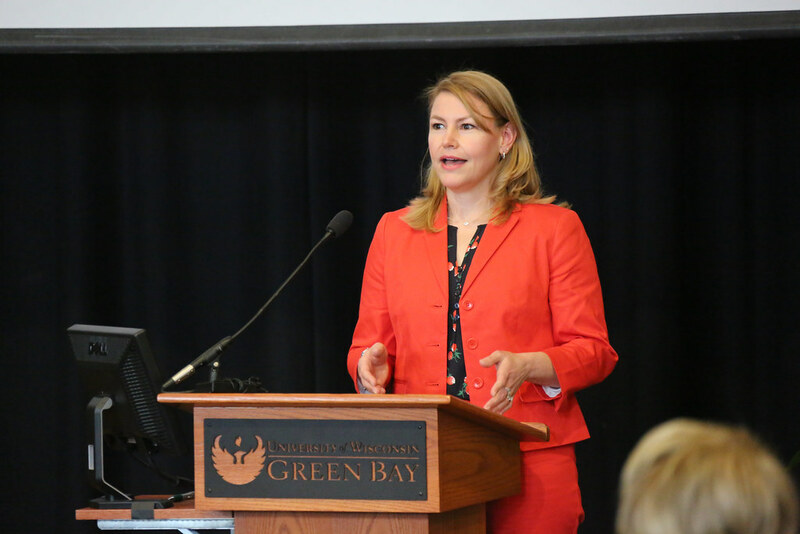 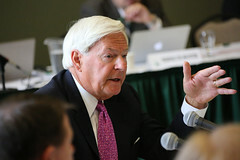 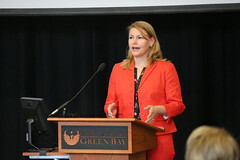 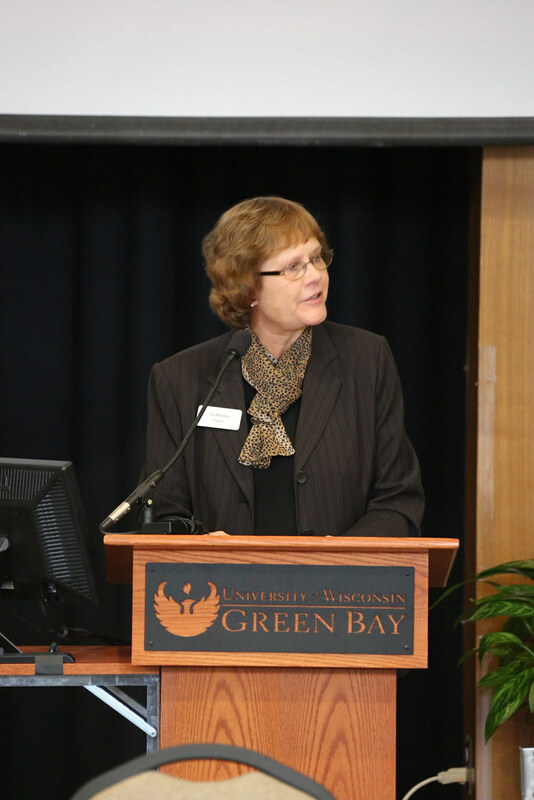 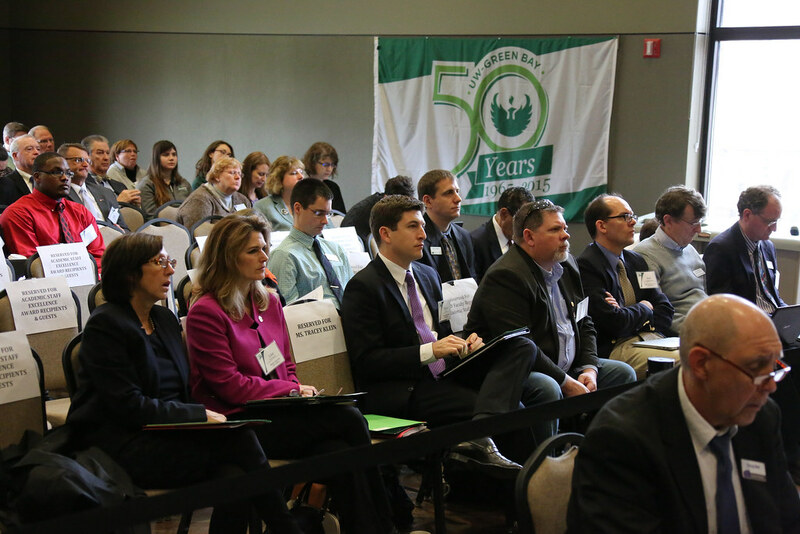 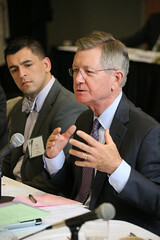 The UW System Board of Regents, UW Chancellors and guests spent two days on the University of Wisconsin-Green Bay campus Thursday and Friday, April 7-8. 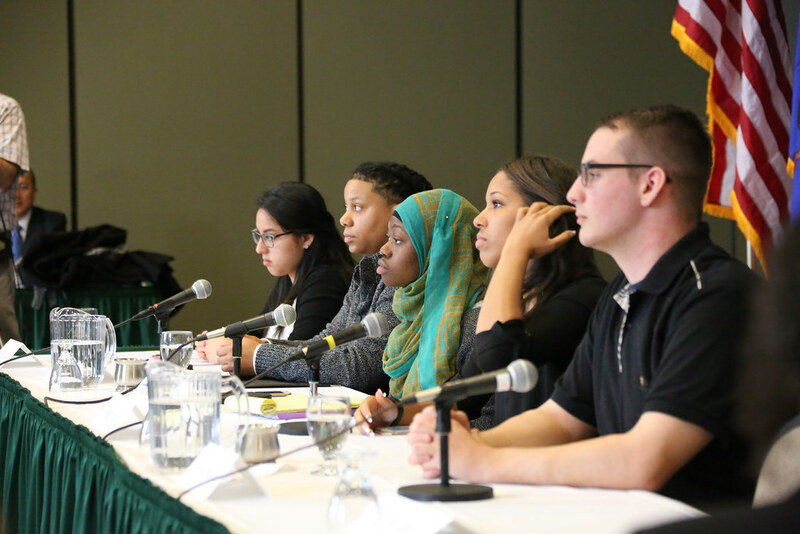 They worked through a full agenda, touching on capital issues, diversity, budgets, new majors and models and more. 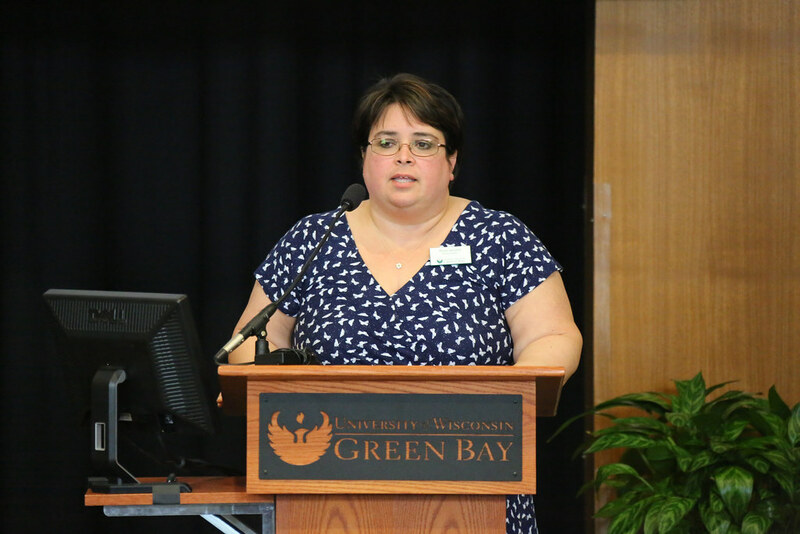 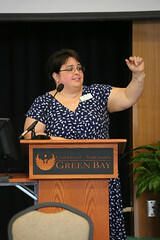 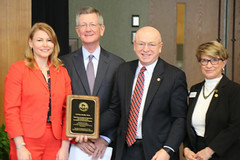 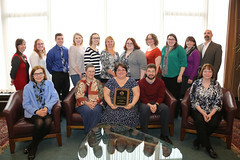 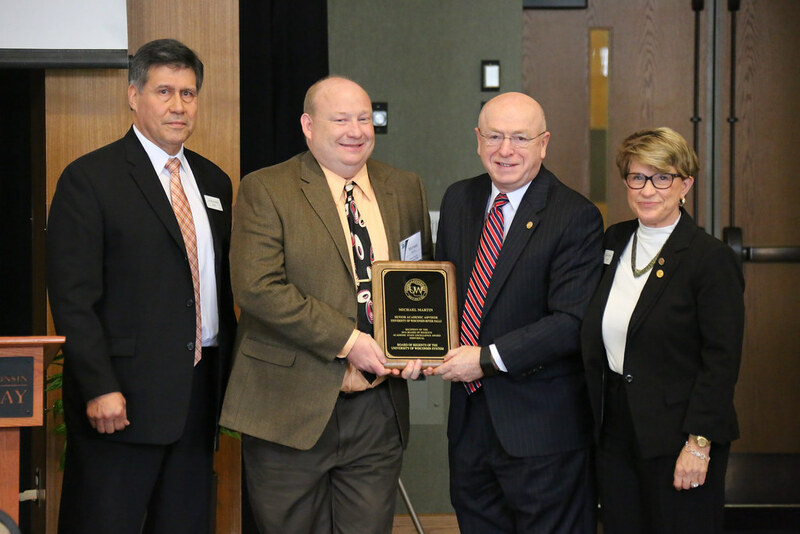 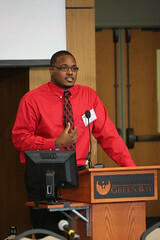 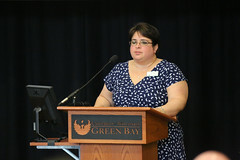 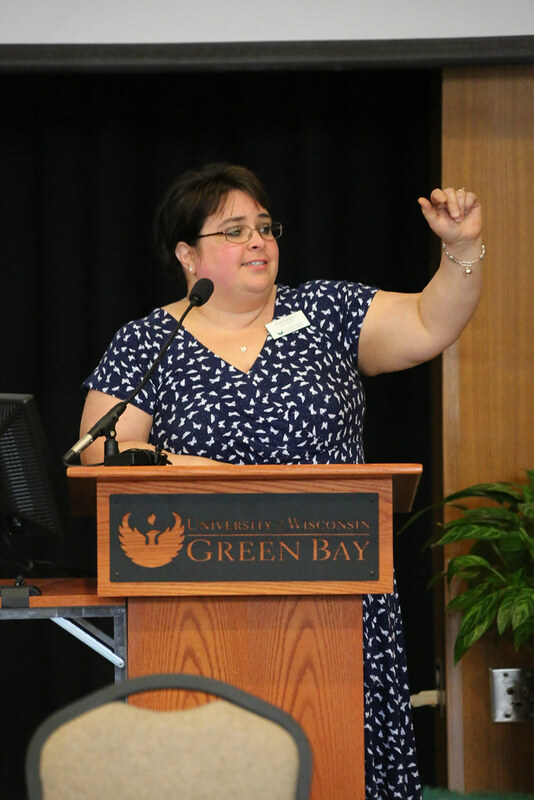 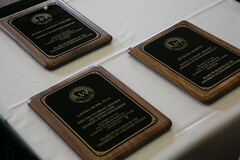 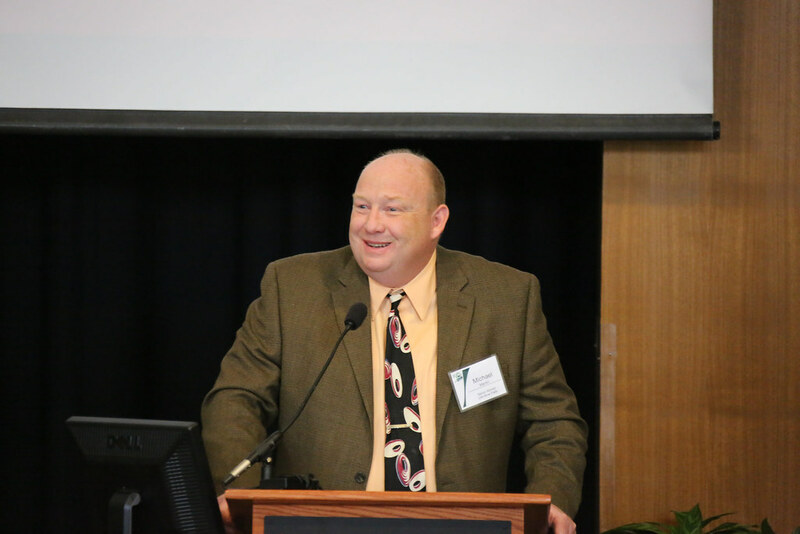 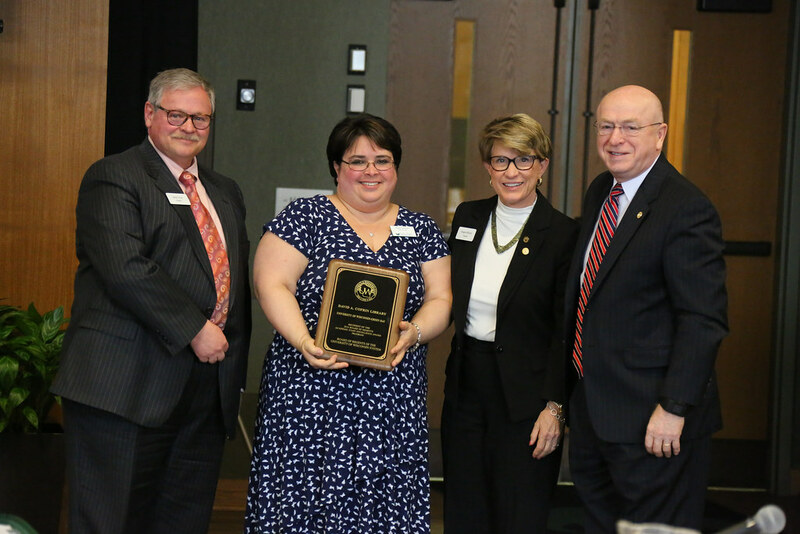 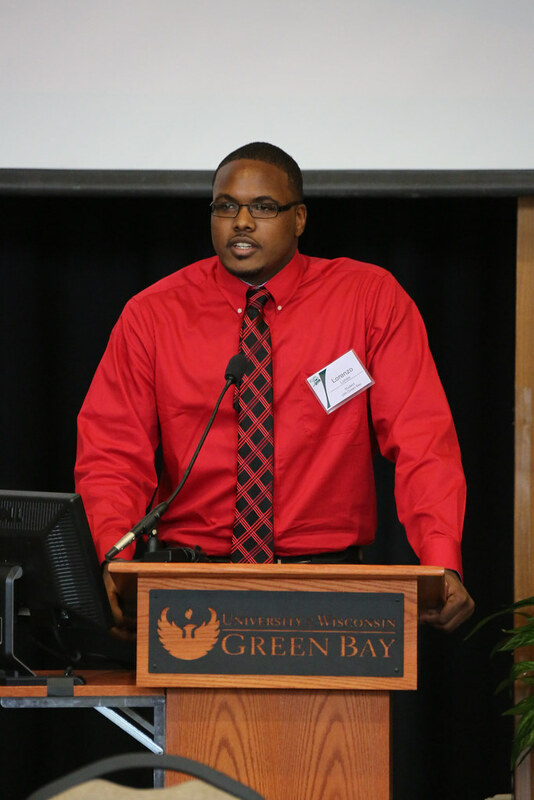 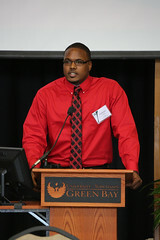 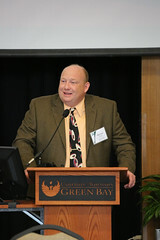 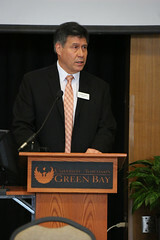 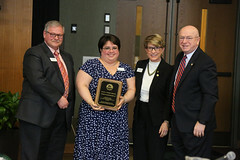 The UW-Green Bay library staff was presented on Friday with the Regents Award for Excellence. 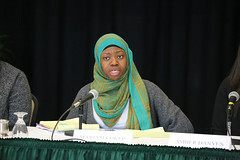 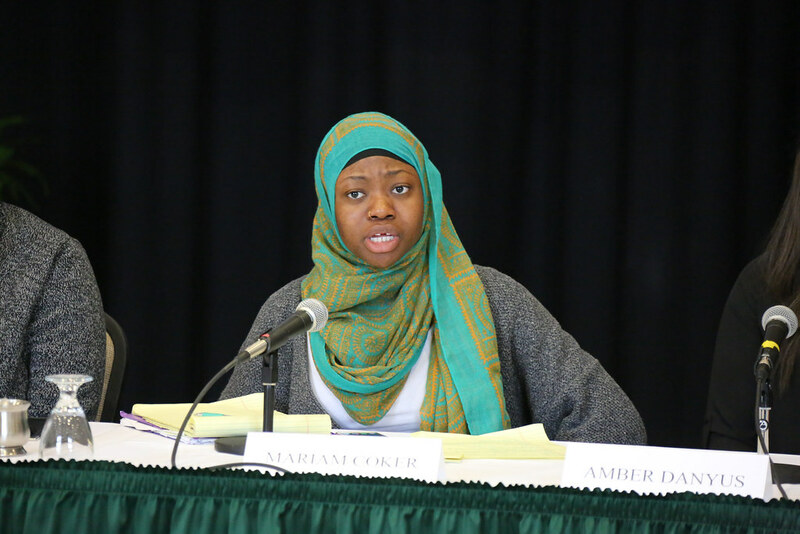 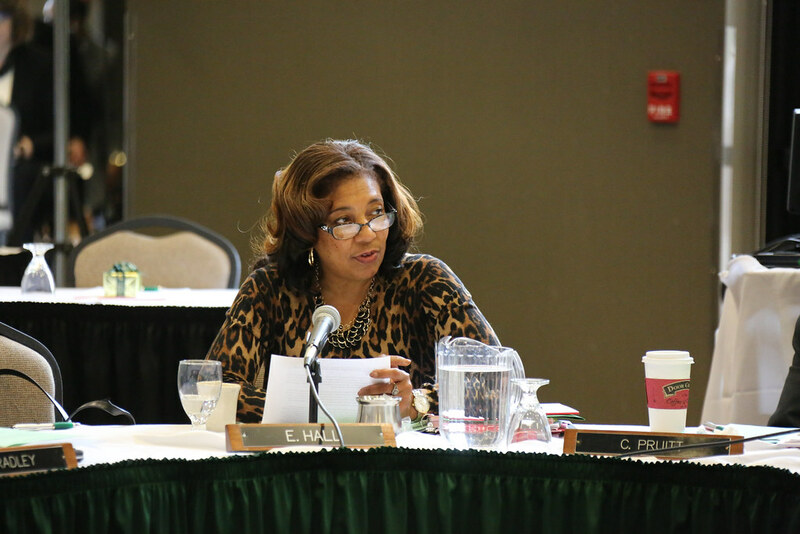 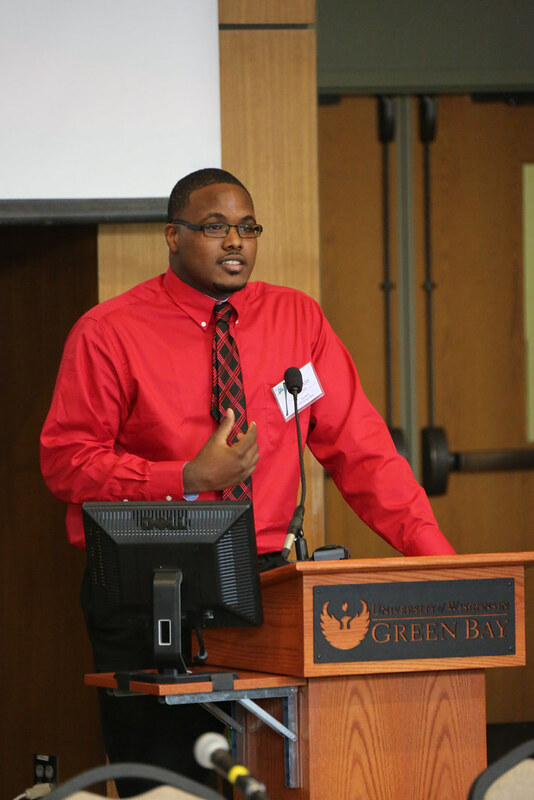 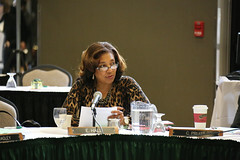 A summary of committee meetings and reports can be found on the UW System website. See the photos from the past two days. 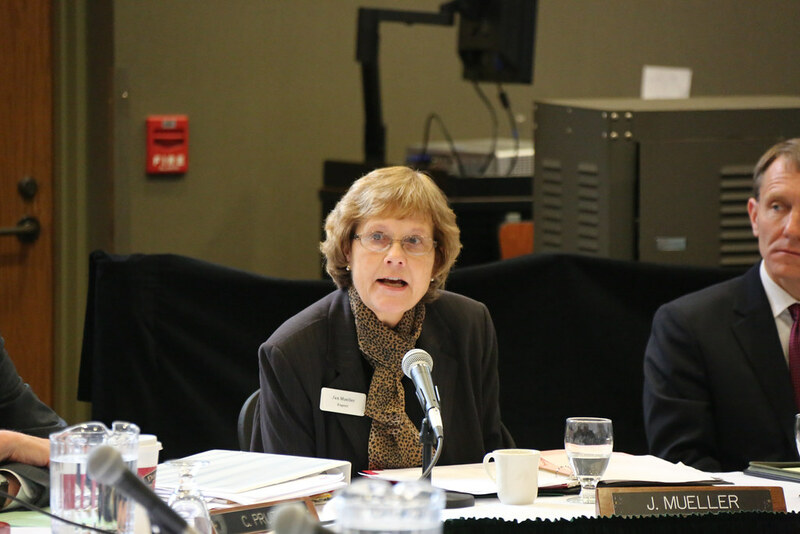 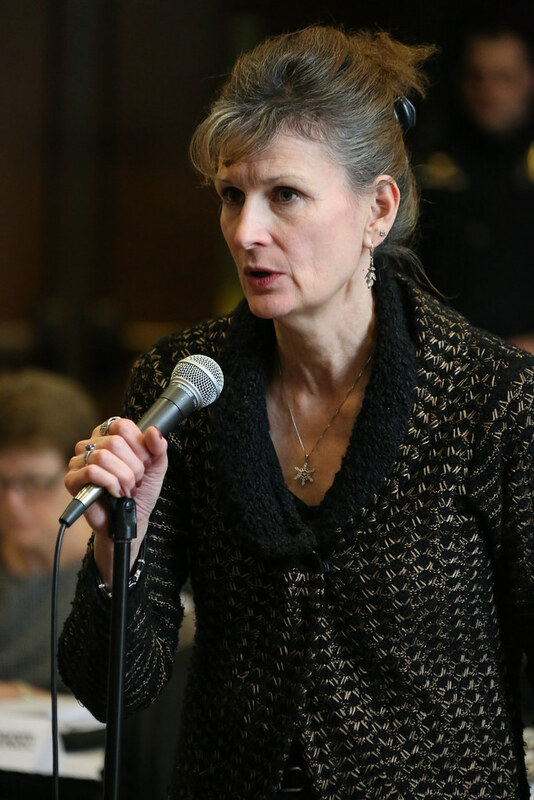 This entry was posted in News and tagged Board of Regents, Photos on April 8, 2016 by Sue Bodilly.